Home » Film » TEN » TEN is available for free streaming to Amazon Prime Members! 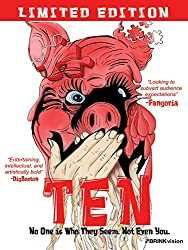 TEN is now streaming for free to Amazon Prime members! Check it out! And then don’t forget to grab one of the few remaining physical copies of the TEN companion novel by Jade Sylvan! Previous PostBlood of the Tribades poster by Kristilyn / Zombie Romance! Next PostBlood of the Tribades Eclipsynching: Bonnie Tyler “Total Eclipse of the Heart” – Thanks to Kickstarter backer Paisley Rojagato!